It might be a Spanish thing only – the flamenco dance. However, in today’s multicultural society it shouldn’t be limited to one country anymore. It’s really all about feeling those good and loose caliente vibes wherever you are. 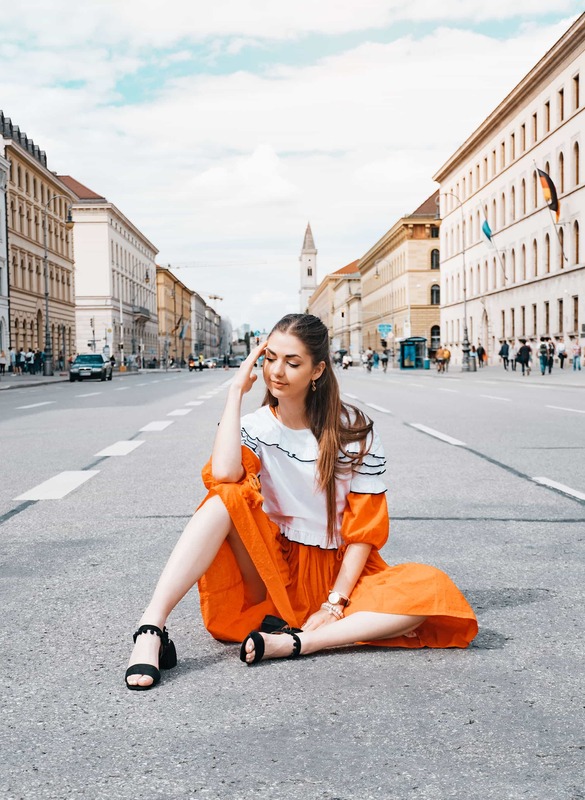 So whether you are hitting the streets of Barcelona, Munich or even New York, let’s start twirling those flamenco alike dresses. Actually, bringing an ambiente español into your everyday life is not that difficult. As clothes decide a lot about how you feel, all you need is to focus on some typical dress codes. 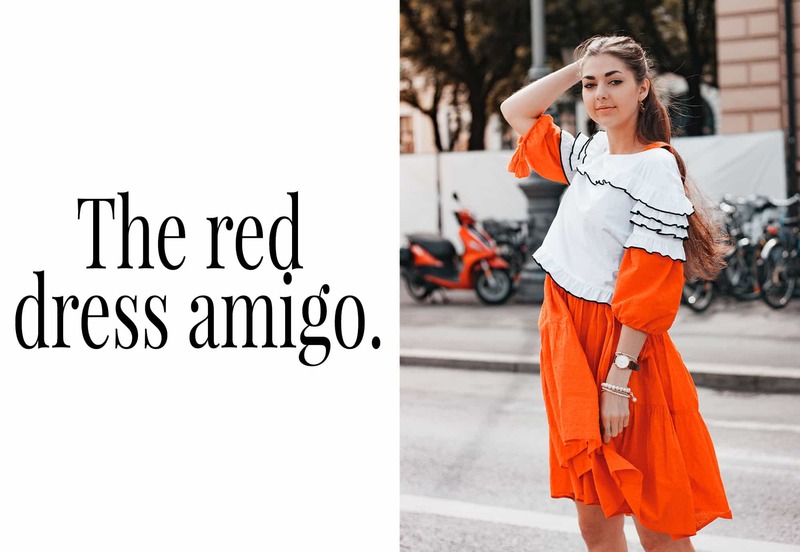 First things first, red is the color, which describes the Spanish lifestyle the best: passionate, proud and full of the joys of life. 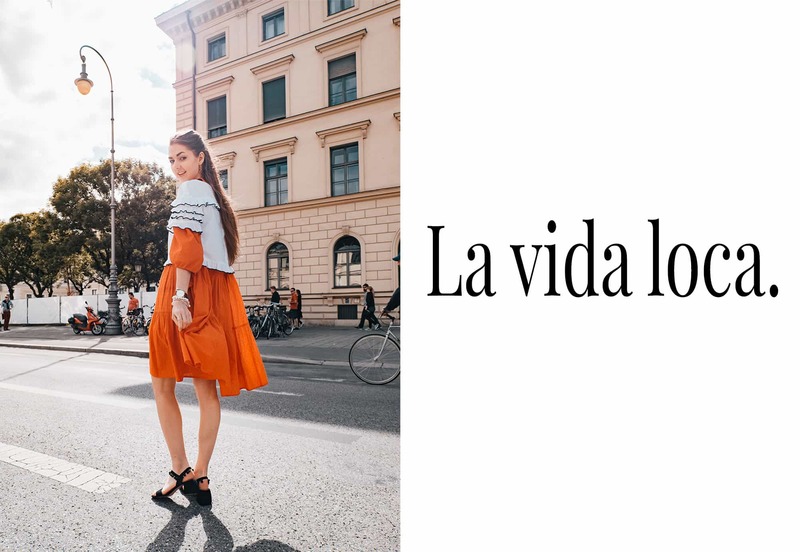 To really spread those loose happy vibes, an airy dress, which blows in the wind is the ultimate “compañero”. 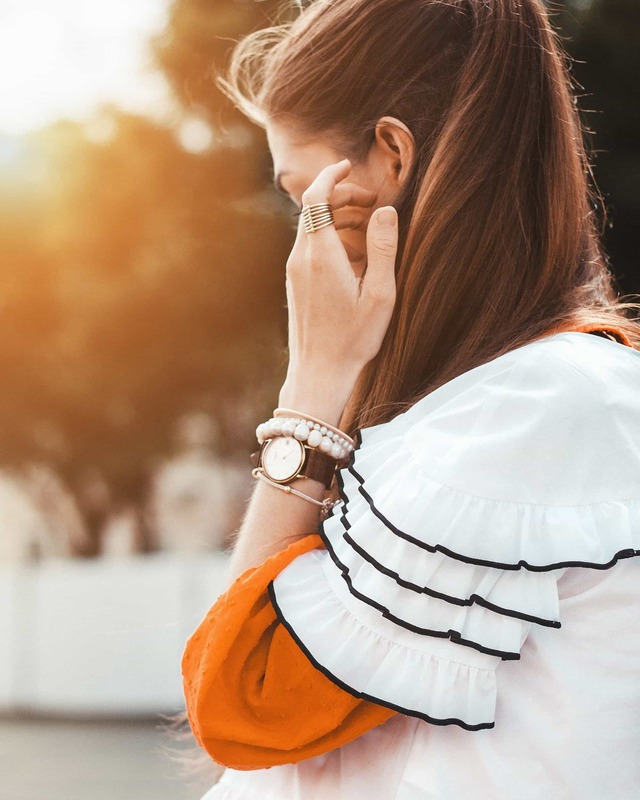 To make the look more special, go for a top with some ruffles. Here, the common thing would be to wear a top underneath the dress but why not change it up a bit? Putting the dress underneath gives the total ensemble an interesting twist. Last but not least, you want to think about the right dancing shoes. A low heel makes your attitude more proud, which is kind of the order of the day in Spain. As black and red is a popular combination, some black sandals are the perfect “amigos”. If you want to make the most out of the Spanish inspiration, choose a pair with some fun little pompoms. This outfit shows one more time, that everyone decides oneself, how a situation turns out in the end. Taking a walk in the streets could be pretty boring but it could also be very exciting. So to put it simply, a red dress can turn an ordinary moment into an extraordinary one. The deciding thing though is to really stand behind the message and to show it to the people. Suddenly, you won’t “need” the dress anymore and you just feel a bit like a happy chica. Olè and let’s dance! 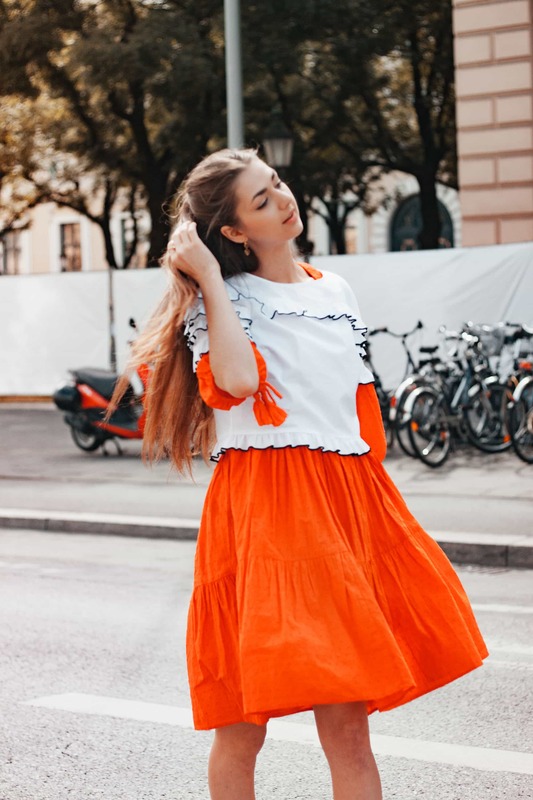 Posted in Fashion & Outfits and tagged Dress, Fashion, Inspiration, Lifestyle, PomPom, Red, Ruffles, Spring Summer 2017, Street Style, Style, Summer, Trend. Bookmark the permalink. I’m glad I stumble upon your blog! Love the layering so much! Definitely one of a kind! What a beautiful set of photos!! Great location, and that orange just pops in the light. Du probierst viel aus und weißt genau was dir steht. Love it! Was für ein Kleid! Das ist echt mal was ganz anderes und steht dir einfach hervorragend! Die Farbe schreit direkt nach Sommer! What a fun and colorful look this is. I simply adore that pop of orange! Gorgeous dress dear and nice photography. omg this color looks great on you babe! This looks like such a bold and fun outfit! Loved looking at the photos! Such a cute doll like dress and pictures. LOve it! Stunning photos! Absolutely beautiful! Love this pop of color! How cute is your outfit ! Love it ! 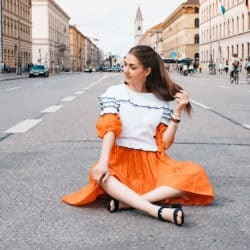 Dein Blog ist sehr schön und ich würde mich freuen wenn wir uns vielleicht gegenseitig unterstützen könnten. Evtl. via Instagram & Bloglovin? 🙂 Freue mich von dir zu hören! Oh you’re so so pretty ! Love this look ! So spanish, so summer ! Die tollen Sandalen unterstreichen den Look! Carmen I am loving this dress and with the layered top, such good styling! The shoes are perfect with this look too! I would never have thought to layer a top and dress like that, I love it! Wow, das Outfit ist wirklich ein Traum! Der Look erinnert mich an meine Flamencozeit zurück. Wow, das sind wirklich wunderschöne Bilder! Das Licht ist einfach perfekt und auch deinen Look finde ich ganz toll 🙂 Die Idee, das Oberteil über das Kleid zu ziehen ist richtig cool! What a fun post my dear ?I bet you had lots of fun at the shooting. And the dress is so sweet.